Our goal is to connect people with the best local experts. We scored painters on more than 25 variables across five categories, and analysed the results to give you a hand-picked list of the best painters in Nashville, TN. 1st Choice Painting of Madison is a full-service residential painting company specializing in repainting. Specialty services include interior staining of doors, trims, mantles, and stairways. Other services include striping, faux finishes, minor carpentry repairs such as drywall patching, pressure washing of decks and fences, and gutter cleaning. The company opened in 2008. 360 Painting is a fully licensed and insured Franklin painting company. The team offers residential and commerical interior and exterior painting services, including deck, fence, and rail staining. The company provides a two-year satisfaction warranty on all its services. 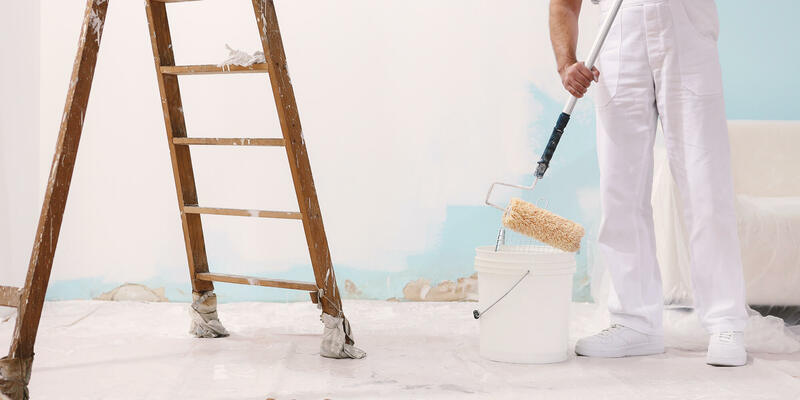 360 Painting employees are covered by full liability and workers’ compensation insurance. Bella Tucker Decorative Finishes is a Franklin husband-and-wife business that was founded in 2009. The company specializes in cabinet painting and faux finishes and serves clients across the entire Nashville metropolis, as well as most of middle Tennessee. Bella Tucker Decorative Finishes is described as a collaborative painting company that takes pride in its decorative art approach. C&R Services is a Springfield painting company that serves clients across the northern Nashville area. Since 2003, the company has specialized in commercial paintings and coatings. Other specialty services include waterproofing, epoxy flooring, general poymers liquid flooring, exterior protective coatings, power washing, and installation of chalkboards and tack boards. CertaPro Painters is a Nashville company known for providing a Job Site Supervisor to every paint job, overseeing the project from start to finish. The company's home office is staffed Monday through Friday, providing consultations and general information to inquiring clients over the phone. All estimates are free of charge and obligation. The CertaPro warranty covers any peeling, blistering, or chipping paint needing repairs from defective workmanship. Five Star Painting is a Nashville company that performs both commercial and residential jobs. The company's service area includes all of southern and middle Tennessee. Five Star Painting focuses on quality and customer satisfaction, and specializes in interior and exterior painting projects. Five Star Painting believes that color can reflect and influence personality, hopes, dreams, and interests. Hisway Painting has been serving the greater Nashville area for more than 30 years. Specialty services include interior and exterior residential painting, pressure washing, aggregate sealing, and deck, fence, and rail staining. The company offers a full two-year warranty against any defects in workmanship. M&M Contracting and Handyman Services is a Mt. Juliet company that opened in 2013. While interior and exterior painting is the company's primary service, M&M Contracting and Handyman Services also provides pressure washing, general plumbing, plumbing repair, drywall installation and repair, tile installation, cabinetry, and electrical services. The company is family owned and operated. Mike's Custom Painting and Renovation is a Goodlettsville company that approaches each paint job as if "the owner is on every job." The company has over 25 years of experience and has since expanded the business offerings to include carpentry, woodwork, tile installation, and bath and kitchen renovations. The company primary specialties include interior and exterior painting, as well as deck and fence staining. Nash Painting serves Nashville and the surrounding areas, offering both indoor and exterior painting. Other services include pressure washing, farm fence washing, painting, and staining, as well as deck staining. Nash Painting offers its services to commercial properties such as offices, retailers, and warehouses, and prides itself on accepting all job sizes and types. Nashville House Painters specializes in interior painting, exterior painting, and faux painting, as well as color consultation services. The company serves clients in the Brentwood, Franklin, and Murfreesboro areas. In the interest of employee safety, Nashville House Painters only accepts single-story exterior jobs. Neal's Custom Painting is a Nashville contracting company that has been in business for over 20 years. Painting services include interior, exterior, cabinets, doors, window frames, and walls. Other services include drywall repair, wallpaper removal, ceiling paint, minor home repairs, and home improvements services. The company's motto is "the smallest things make the biggest difference." New Traditions Painting is a Nashville company owned and operated by native Nashvillians. The team includes experienced interior and exterior professional home painters and drywall specialists. To easily identify employees, all technicians are outfitted with New Traditions Painting uniforms. All work is fully covered by a two-year warranty for workmanship defects. Painter Ready is a Hermitage company that prides itself on its repeat business, which comprises a full 80 percent of its workload. Industrial and commercial painting services include interior and exterior pressure washing and painting, tank coatings, containment coatings, and epoxy/acid stain floors. Painter Ready offers a one-year limited warranty on all its work. Pro-Painting is a Brentwood company that serves the middle Tennessee area, focusing mostly on the communities south of Nashville. The company specializes in residential, new construction, and commercial and office painting projects. Other services include drywall repair, popcorn and wallpaper removal, pressure washing, and deck, fence, rail, and concrete staining. Radnor House and Home has been serving clients in Nashville and the surrounding areas since 2006. Radnor House and Home is licensed, bonded, and insured, and specializes in painting and light remodeling projects. Since its establishment in 2006, the company has expanded its services to include interior and exterior remodeling for commercial properties as well as other handyman services. Sams Painting is a Hendersonville company that opened in 2005. Since then, the company has specialized in interior and exterior painting services, as well as deck and fence staining, pressure washing, drywall repair, driveway sealing, refinishing wood specialty painting, and window glazing. Sams Painting is also available for a variety of commercial painting services. Southeast Painting is a Brentwood company that serves the entire Nashville metropolis area, as well as most of middle Tennessee. The company specializes in interior and exterior residential painting. Commercial clients are offered painting services for office or retail spaces, manufacturing and warehouse areas, hotels and motels, and assisted living properties. The company offers free estimates and three-year warranties on its services. The House Painters is a fully licensed, bonded, and insured Nashville company that serves clients all across middle Tennessee. The full-service painting company specializes in interior and exterior residential painting, as well as paint services for fences and rails. Other services include deck staining, floor coating, and commercial painting services (interior and exterior).